The city of Berwyn is a diverse city located in the state of Illinois that is full of history and many exciting things to do and see, like the world’s largest Laundromat and or the famous Cermak Plaza where the Angelina Jolie film Wanted was filmed. Amid all of the bustling activity going on, there may be times in which you encounter an accident or other unfortunate situation that leaves you or a loved one injured. For such situations, it is necessary to hire one of the highly qualified Berwyn injury attorneys available. These attorneys can help you get a settlement from your insurance company or the insurance company of the at-fault party. While it is possible to get a settlement on your own, using an experienced attorney will make the process much faster and lower the risk of being cheated by the more knowledgeable insurance companies. Read on to learn more about how injury attorneys can help the residents of Berwyn obtain the settlements they deserve. The more than 56,000 residents of Berwyn are like most Americans, which means that they are often busy and bogged down with the requirements of daily life. Whether you are an employee of the large MacNeal Hospital or a history teacher at J. Sterling Morton High School, there are many benefits of hiring an injury attorney to handle your insurance claims if you are ever involved in an accident. The biggest reason to hire a Berwyn injury attorney is that these attorneys are specialists in their field who make it their life’s work to learn every personal injury law in the state of Illinois. The average person will not be aware of many of the laws that they could use to their advantage during a personal injury case. This makes it easy for insurance adjusters who know far more about the process to cheat you out of a settlement that you rightfully deserve. If your personal injury case is taken to court for any reason, you will need a qualified attorney by your side. You can also dispute an unfair claim decision with the help of an injury attorney. They will use their wide range of knowledge to fight for you. Many attorneys will agree to work according to a contingency fee arrangement. This means that they only get paid if and when you win your case. Such an arrangement makes it possible for people who otherwise would not have the money to afford an attorney to still have proper representation. Personal injury attorneys can also negotiate with your insurance company or employer to help you receive worker’s compensation. 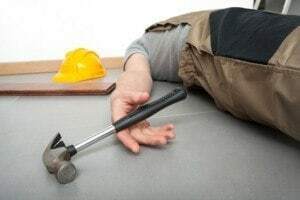 Many people are injured each year due to workplace accidents that were no fault of their own and are left unable to work. No matter where you work, Berwyn injury attorneys can negotiate to get you the compensation you need in order to keep your family and household afloat. Consult with an injury attorney in Berwyn today to find out if your case qualifies for professional representation. He or she will be able to tell you the steps you need to take next and can let you know what to expect when dealing with the insurance company. Most consultations are free, so you have nothing to lose by setting up an appointment to discuss your situation. As you can see, a personal injury attorney can make a big difference in the outcome of your case. Without the representation of an attorney, you could risk receiving a settlement that is not sufficient for your needs or you could end up not receiving a settlement at all.